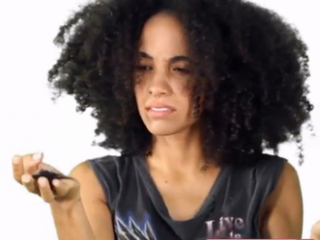 No, you haven't stumbled upon one of the many YouTube channels created and regulated by what Solange "I don't want to talk about no damn hair" Knowles would call the "natural hair police." Nor is this a clip in which Nicki Minaj reveals the miracle serum behind the recently tweeted "No chemicals. No perm" photo. It's comedy, not actual beauty advice. Well, maybe a little of both. The secret "product" being touted by comedian Chescaleigh and her friends as they poke gentle fun at some black women's preoccupation with hair length is actually more of a virtue: patience. Too bad it's not really for sale, because this and other intangible psychological remedies could apply to a whole list of personal and professional dilemmas.